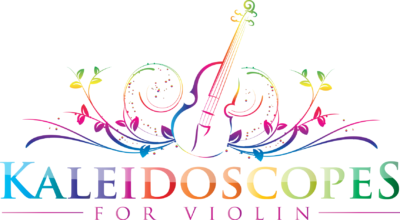 Designed for children ages 3-6, these simple, enjoyable activities build essential body awareness and strength for playing the violin. Singing and moving simultaneously presents a multi-tasking challenge which builds concentration and focus. Choose several of these short activities each time you practice. This fun, simple pre-violin exercise helps young children develop awareness of keeping their bow arm level and opening from the elbow. When young children turn their head, they naturally turn their entire body. As a result, when they play violin they may gradually twist to the left. This lively pre-violin exercise helps them isolate the head turn. The “hayride” (bouncing above the shoulder) establishes the hand position for playing at the frog. The “horse trail” builds skill managing the angle of the bow. Do these midline-crossing activities standing up, making sure not to twist to the left. This activity helps your child find and practice using each of the fingers of the hand. It is also a midline-crossing activity. Your child may need your help finding the correct fingers! Supplies needed: a large book or box; four large beads or pom-poms. This enjoyable finger-play builds two skills: aligning the base of the finger with the back of the hand, and keeping the other fingers relaxed while the index is fully bent. This activity may be done seated. This finger-play is perfect for snuggling before bed, practicing finding fingers do, re, mi, and fa (index through pinky). If your child is on your lap, your child can easily see your hand directly beside their own, making it easier for them to find the correct finger. This activity helps your child master the movement of their knuckles, which is important for shaping the bowhold. Do this activity as a fun diversion throughout the day! The twisted and lifted position of the violin arm can feel unfamiliar and awkward to a novice player. Preparing this position ahead of time builds muscle memory and comfort.